The Oracle Tent has flowed into the Realm of Water. 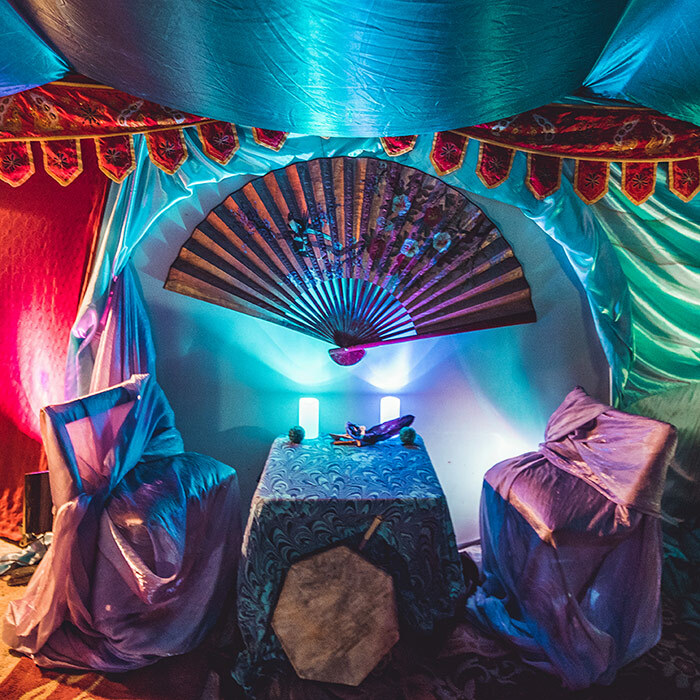 Collaborating in the space of PureEnergy.Love where I AM HEALING is also found, the Oracle Tent is accessible in the tea lounge and offers participants a chance to dive deeper into the Lucidity Mythos by receiving a reading from our Elemental Oracles. The Oracles of the Hearth (Fire), Home (Earth), the Well (Water), and Breath (Air), eagerly await your visit to both guide and empower your inner journey. Our professional Oracles use a variety of cards, intuition, and cues to align with the elements and deliver impressive personal readings. Readings are by donation and the standard is $1-2 per minute.